* All rooms and apartments have views of the street or the pool. 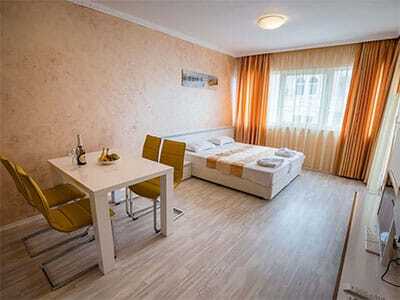 The rooms are elegantly and modernly furnished and offer comfort and spaciousness. 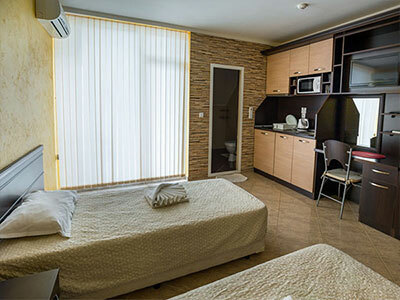 Each apartment has an equipped kitchen, fridge, hood, ceramic stove, kettle , private bathroom with shower and hairdryer. LED TV, air conditioning, internet with cable and Wi-fi. Bed for an adult – 80% of bed’s price.